Presented in the"12th Annual International Conference on History & Archaeology: From Ancient to Modern" 28-31 July 2014, Athens Institute for Education and Research (ATINER), Athens, Greece. The Egyptian temples, tombs monuments are almost covered by colorful drawings. Drawings and sculptures reflect an obvious sense of beauty. Aesthetic dermatology is modern medical term referring to a medical specialty that takes care of the health and beauty of the human skin. It is interesting to find out that ancient Egyptians treated their skin diseases and tumors as we do. They regarded beauty as a sign of holiness. Cosmetics were an integral part of their daily lives. In tombs, cosmetic palettes were found buried with the deceased as grave goods which further emphasized the idea that cosmetics were not only used for aesthetic purposes but rather magical and religious purposes. 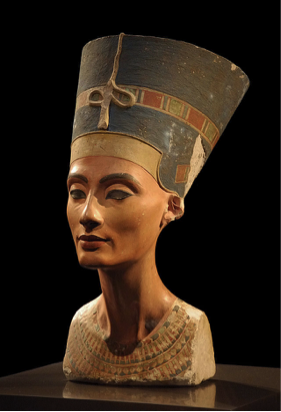 It is interesting to document that several practices in the modern specialty of aesthetic dermatology can be traced back to ancient Egyptian practices. 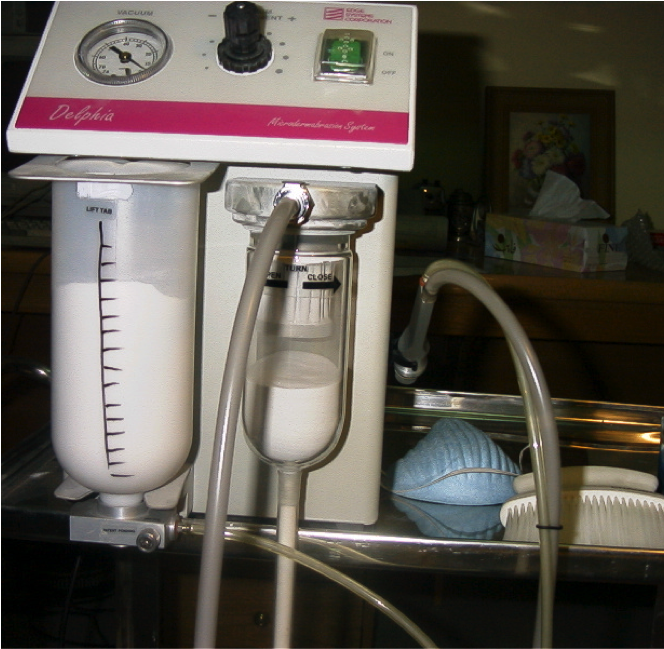 Dermabrasion, microdermabrasion, several cosmetics and phototherapy are examples of modern tools to be traced back in history. Aesthetic medicine and in particular dermatology is concerned with human beauty. The ancient Egyptian culture values beauty in various aspects. The aim of this work is to search in both medical and historic literature exploring the roots of the growing modern medical specialty. 2. What is Aesthetic Dermatology? Dermatology is the branch of medicine dealing with the hair, nails, skin and its diseases. It is a specialty with both medical and surgical aspects. A dermatologist treats diseases, in the widest sense, and some cosmetic problems of the skin, scalp, hair, and nails. Cosmetic procedures are becoming increasingly popular with dermatologists. They are used to reverse the effects of aging, to improve the quality of the skin, to augment facial structures, and to improve the patient's appearance in general and can also be beneficial for certain dermatoses. The term aesthetic or cosmetic dermatology emerged from the evolution in the scope of the specialty of dermatology. Cosmetics have different philosophical, cultural, and historical aspects that go back from the times of the Pharaohs, the Romans, the Greeks, and the Arabs, through the medieval and Elizabethan periods and into modern times. Egyptian physicians were much sought after in the Ancient World, despite the fact that possibly but little was added to the canon of knowledge after the First Intermediate Period (about 2000 BCE). Ramses II sent physicians to the king of Hatti and many rulers, the Persian Achaemenids among them, had Egyptian doctors in attendance. Our thanks to "…" for allowing us to modify templates they had developed. In this historical review it was interesting to reveal that the modern subspecialty known as aesthetic dermatology rooted back in history to ancient Egypt. Medical advancement and the high aesthetic values in ancient Egypt lead to many practices that could be related to the modern subspecialty. 1. Random House Webster's Unabridged Dictionary. Random House, Inc. 2001. Page 537. ISBN 0-375-72026-X. 5. Michelle L. Bennett, Robert L. Henderson Jr. Introduction to cosmetic dermatology. Current Problems in Dermatology, Volume 15, Issue 2, March–April 2003, Pages 43-83. 6. Cosmetic Dermatology. Murad Alam, ?Hayes B. Gladstone, ?Rebecca C. Tung (editors) – 2009, Saunders Elsevier (pub.) p 18. 7. Henseler T, Christophers E. Disease concomitance in psoriasis. Journal of the American Academy of Dermatology 1995; 32(6): 982-986. 8. Freedman Bruce, Rueda-Pedraza E, Waddell S. "The Epidermal and Dermal Changes Associated with Microdermabrasion." Dermatologic Surgery 27 (2001): 1031-1034. 11. Ebling FJG. The role of colour in cosmetics. in: Counsell JN, editor. Natural colours for food and other uses. London: Applied Sciences Publishers, 1981:55–81. 12. Reese V. Dermatology in the cinema. J Am Acad Dermatol 1995;33:1030 – 4. 13. Lichtheim M., Ancient Egyptian Literature, Volume III, p.37. 15. Parish LC. Cosmetics: A historical review in cosmetic dermatology. In: Abramovits W, editor, Clinics in dermatology. Philadelphia: JB Lippincott, 1988. 16. Hollander E. Askulap und Venus, Eine Kultur- und Sittengeschichte im Spiegel des Arêtes. Berlin: Propylaen- Verlag, 1928. 17. Günter Stüttgen Historical observations. Clinics in Dermatology, Volume 14, Issue 2, March–April 1996, Pages 135-142. 18. Oumeish Youssef Oumeish . The cultural and philosophical concepts of cosmetics in beauty and art through the medical history of mankind. Clinics in Dermatology, Volume 19, Issue 4, July–August 2001, Pages 375-386. 19. Hardy A.D et al. Chapter 5 Egyptian eye cosmetics ("Kohls"): Past and present. Original Research Article. in Physical Techniques in the Study of Art, Archaeology and Cultural Heritage, D. Bradley and D. Creagh (Eds. ), Elsevier B.V. (Publisher), Volume 1, 2006, Pages 173-203. 20. Lucas A., Harris J.R., Ancient Egyptian Materials and Industries, fourth ed., Dover Publications, New York, pp. 80-84, 99, 113, 195-199, 210, 243-244, 262, 340-344, 398-401, 1962. 21. Forbes R.J., Studies in Ancient Technology, vol. III, third ed., E.J. Brill, Leiden, The Netherlands, pp. 17-20, 1993. 22. Aston B. et al. (Eds. ), in: Ancient Egyptian Materials and Technology, Cambridge University Press, Cambridge, UK, pp. 44, 107, 148, 2000. 23. Nunn J.F., Ancient Egyptian Medicine, British Museum Press, London, pp. 138, 146, 147, 198, 199, 201, 1996. 24. Ellinger, F.: Medical Radiation Biology. Springfield, Il., Charles C Thomas,1957.